On this website you’ll find the best koi fish, the best butterfly koi fish, the best koi food, and the best pond products, all from the best American Koi Breeder; Kloubec Koi Farm! 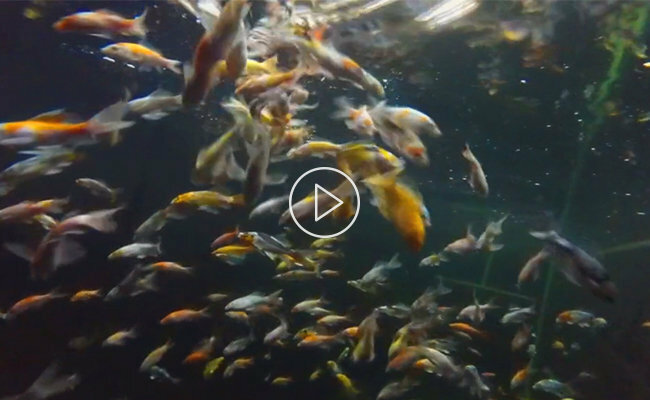 As one of the largest and most trusted koi farms in the USA we offer top quality koi and butterfly koi fish that are raised on our 80 acre farm in rural Amana, Iowa. Our Japanese Nishikigoi breeder fish were all hand-selected for body conformation, color, skin quality and pattern. They all originate from renowned koi farms in Japan such as; Shintaro Koi Farm, Momotaro Koi Farm, Izumiya Koi Farm, Torazo Koi Farm, Igarashi Koi Farm, Kaneko Koi Farm and others. We produce some of the most highly desired koi varieties including Kohaku, Showa, Sanke, Asagi, Shusui, Kumonryu, Kikokuryu, Butterfly, Doitsu, Gin Rin and many others. All of our koi fish go through an extensive quarantine procedure before they are offered as koi for sale on this website.